I completed a 3-year Masters program in Orthodontics at Trinity College Dublin and achieved my Membership in Orthodontics from the Royal College of Surgeons of Edinburgh in 2000. Since qualifying from dentistry, I have gained extensive experience in the clinical management of children. I practice at Our Lady’s Hospital, Navan and hold private clinics at Dunshaughlin Orthodontics. I undertook 3 years of specialist orthodontic training at The University of Wales and completed an additional 2 years of training in surgical and restorative orthodontic techniques at The University of Birimingham. I teach orthodontic postgraduate students and I am an orthodontic examiner at Trinity College Dublin and the Royal College of Surgeons of Edinburgh. 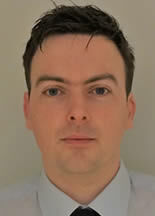 I am a Consultant in Orthodontics at St. James’s Hospital Dublin and hold private clinics at Dunshauglin Orthodontics. 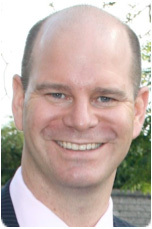 Dr Timothy McSwiney completed his dental training in 2006 and underwent specialist training in Orthodontics at Cork University Dental School and Hospital in 2009. He was awarded a Doctorate in Orthodontics (DClinDent) in 2012 and a Membership of Orthodontics (MOrth) from the Royal College of Surgeons in Edinburgh. Following this he attended Oxford University Hospitals NHS Trust and the Eastman Dental Institute, London to complete advanced training to hospital consultant level. Dr McSwiney currently holds a consultant post in Orthodontics at Dublin Dental University Hospital, Trinity College Dublin. He has a broad range of clinical experience and a special interest in interceptive orthodontics as well as the treatment of jaw abnormalities and complex restorative and hypodontia cases. 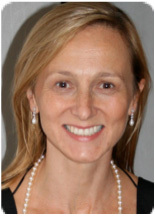 Madonna has worked in specialist practice in Dublin since 1999 and joined the Dunshaughlin Orthodontic Clinic in February 2009. She received her qualification in dental nursing from the Dublin Dental Hospital in 2002. She holds a dental certificate in Dental Radiology. 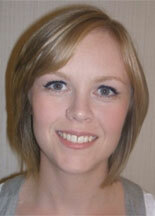 She has a broad experience of dental and specialist practice. She will be happy to arrange appointments and give advice about all aspects of orthodontic treatment.